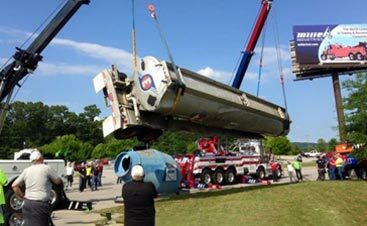 Welcome back to our blog page here at B&B Towing and Recovery. With three locations in the Northeastern United States, we’re able to provide service to so many New England folks in Vermont and New Hampshire. Have you experienced a breakdown near Brownington? Contact our towing team and get transportation and service. Did you encounter frustrating car troubles in Lyndonville or St. Johnsbury, VT? 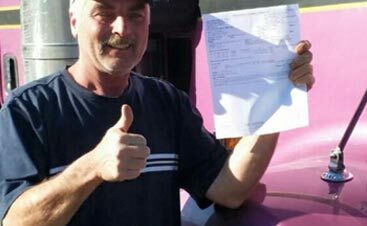 Each of our locations can help with your towing and service needs. Have a large truck or specialty vehicle? B&B not only has the capability to tow your unique vehicle, we’re also able to provide you with exceptional car, truck, semi, or powersport repair. 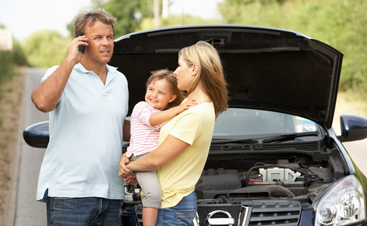 Contact B&B today to schedule service, or to get emergency roadside services now! With summer just weeks away, we’re all gearing up for the fun activities that the season surely has in store. Kids of all ages are making plans with friends, parents are scheduling camps, summer school, and play dates, and everyone is preparing for the season of fun, games, and barbeques. With the beginning of summertime, people will be dusting off their boats, prepping their RVs, and gassing up their powersport vehicles. Summer provides the perfect opportunity for those who love to ride around in ATVs, dirt bikes, and other powersport vehicles. 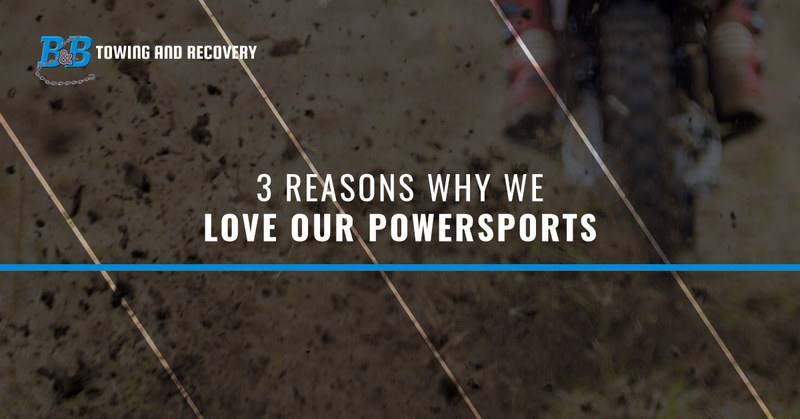 Let’s look at some of the reasons we love our powersports. To many people, there is nothing more exhilarating than the feeling of the wind in your hair and the rush of going super fast on an ATV or dirt bike. Because the joy that riding these vehicles brings is immense, most people will experience a release of endorphins as they ride these fun vehicles. What’s the point of having summertime if you’re not going to take some time to enjoy the beautiful outdoors? When you own an ATV or dirt bike, you probably won’t be able to tolerate the idea of it sitting idle all summer long. Make sure that you enjoy the outdoors the way that God intended: with your ATV. One of the great things about powersports and motorsports is that they always bring people together. Not many of us enjoy going out on our ATVs and dirt bikes alone all the time; riding around the countryside with a great friend or family member can be a good time to create one-of-a-kind memories. No matter the reason you purchased or you’re thinking of purchasing your powersport vehicle, they were definitely made to be enjoyed. With summer just around the corner, make sure that you’re all set with your fun toys and activities! Do you need ATV or dirt bike parts or service? Or are you looking to buy a new motorsport vehicle? B&B Motorsports and Auto Repair in Brownington, VT would love to be your one-stop shop for all things motorsports. Don’t let another summer pass you by without taking advantage of all the fun that there is to be had when you own a powersport vehicle.